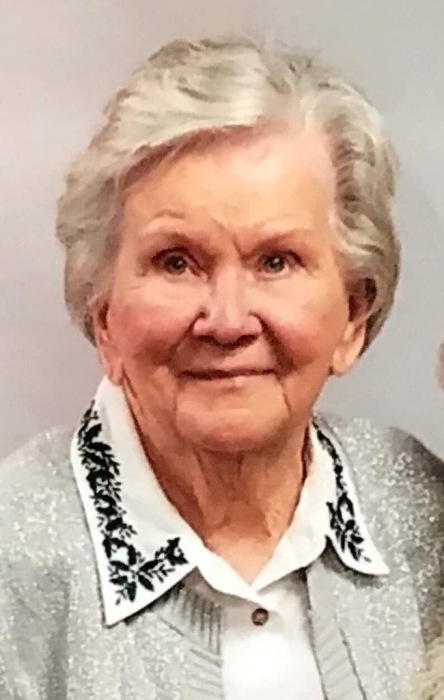 Verna Pressley age 89 of Big Clifty, KY passed away on Tuesday, April 16, 2019 at Norton's Hospital in Louisville, KY.
She was born in Grayson County, KY.,the daughter of Olton Hatfield and Clara Hughes Oldham and was married to Mitchell Pressley. She was a waitress and a member of Little Clifty Methodist Church. She is survived by two sons: Michael Pressley and Paul Pressley; three daughters: Patricia Sparkman, April Trask and Michelle Roof; eleven Grandchildren; several Great-grandchildren and Great-great-grandchildren and three brothers: Herbert Hatfield, Gene & Gathel Oldham.